“On the edge of a revolution, we don’t know where we are going, but we are on the way.” That was the view of Councillor Janet Walton, Leader of Borough of Poole Council, on the approved merger between Bournemouth, Poole and Christchurch Councils. Led by BECG's Andrew Howard and Intelligent Land's Mark Hewett, we held an event on Friday 19th October to enable top industry professionals from within the built environment to come together with Council leaders to discuss the impending ‘Future Dorset’ merger and what this will mean for planning and development within the conurbation. The Future Dorset scheme, which received parliamentary approval in May 2018, will see nine local councils across Dorset replaced with two unitary authorities. The first element of the approved merger would see the abolition of Dorset County Council and the five district councils within it, to be replaced with a large unitary council to represent 'rural' Dorset. The second approved element is the merger of the existing 'urban' unitary authorities of Bournemouth Borough Council, Borough of Poole Council and Christchurch Borough Council, to create a single authority. The county’s existing local councils will cease to exist on 31st March 2019 and the new unitary authorities will come into being on 1st April 2019, with full elections scheduled to take place on 2nd May 2019. At present, two Shadow Authorities are bringing forward the mergers – comprised of elected representatives of the authorities to be merged – to ensure that the new bureaucracy is ready for Day One. The aim of Future Dorset is to reduce costs by more the £100 million in the first six years, deliver greater efficiency across the authorities and secure increased government funding for local services. The idea is exciting because it will be the first of its kind for such a large number of councils. Below, we summarise the discussion from our event, including thoughts on the planning system and the needs of the conurbation. The discussion began with Bill Cotton, Executive Director for Economy at Bournemouth Borough Council, providing a summary of what the merger was and advising that the government had given the Council two years to integrate all policies and four years to create a Local Plan. 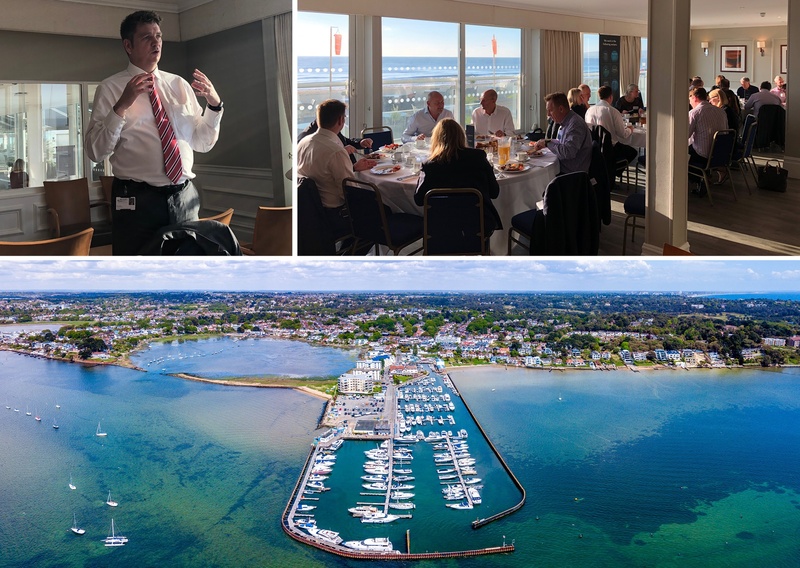 He noted that the conurbation was well placed to bring forward a unitary authority, with a range of assets including ports, Bournemouth airport, businesses, football clubs and famous coastlines. However, the area also suffers significant challenges in the form of congestion, environmental protection of the Areas of Outstanding Natural Beauty, the Green Belt and pressure for housing. On this subject, Councillor Walton explained that there is a need for more affordable housing to attract the skills needed in the area. While Councillor Philip Broadhead of Bournemouth Borough Council highlighted that one of the biggest things that they would like to change is the planning system. As one Council, there will be an opportunity to streamline the planning process, be more strategic and balance democracy with the needs of the conurbation. This is promising for the future of development and the leading members bringing the merger forward want to hear feedback on the experiences of the planning system and what could work better. Mark Hewett outlined that, from the development industry perspective, there had been significant changes in the way that people build now; many Private Rented Sector (PRS) schemes are coming forward, and volumes of housing and buying transactions are significantly less than in previous years. He emphasised that it will be important for local authorities to respond to this change and launch initiatives to help deliver the right type of housing. The merger creates the ideal opportunity to bring this forward. It was highlighted that many of the problems with the planning system stem from insufficient resourcing: the days of sitting down with an Officer to discuss plans thoroughly are long gone, particularly as many have large workloads or have moved to the private sector. However, it will be a priority for the new authority to bring through new planners and professionals who have the time and energy to get into the ‘nitty-gritty’ of planning. Councillor Walton agreed that it is equally difficult finding proper training programmes for councillors and retaining 'good' councillors on the Planning Committee for more than a year. There was some discussion as to the type of Planning Committees that the Shadow Authority is looking at bringing forward. One idea is a two-tier approach, with a more well-resourced planning board at the top to deal with major applications, and a second board to handle smaller, more local applications. This would help balance the local needs and interests with the importance of the wider economic need. However, a two-tiered model was not without its criticism; it was highlighted that should the conurbation wish to move forward as a solid single entity, it was advised that one planning board that deal with all applications across the whole area would be a more holistic approach. This led to the suggestion that, in the coming years, it would be possible for planning applications to be dealt with via algorithms, rather than through Planning Committees. It is important to remember however, that local people are passionate about where they live, and want a team or a person they can engage with and to understand how a decision has been made; so we may be a little way off 'robo-planners'! Councillors and Officers are currently reviewing other councils across the country which have successfully integrated, looking at best practice and discussing what works and what doesn’t with other leaders. This to some extent depends upon the services you are looking to benchmark against. Each region across the country has its own challenges and constraints based on the uniqueness of an area, and some solutions that work in a city centre area would not necessarily translate to a coastal town. It was noted that, in some areas, developers are able to work with councils to provide details of the land they hold, how it could be delivered and what could be brought forward as part of strategic regeneration. From this, demographics were discussed, and how identifying the types of housing needed based on demographic data could help developers deliver the type of housing the new authority will need. The members of the Shadow Authority highlighted that this was particularly important when helping to address the housing needs of young professionals in the area. Their view is that it isn’t enough to build affordable housing in the traditional sense: it needs to be truly affordable. When addressing older persons’ housing needs, it’s important to note that housing built specifically for their needs will help free up family homes for local people, and that these therefore needed to be built in the area. It was noted with pride that Bournemouth has the fastest growing economy in the UK. However, the new council needs to ensure that it provides the appropriate infrastructures and promotes the delivery of flexible office space to further encourage this growth of employment and business – creativity is needed to provide the spaces that businesses require, in order to ensure sustainability. It is certain that the Shadow Secretaries have a lot of work ahead deciding how to move forward as one Authority before April 2019, incorporating a range of ideas and best practice from across the country. The challenges that they face are quite significant, including the differing housing and infrastructure needs across the conurbation. However it was stressed throughout that these will likely be easier to address as a single entity than multiple. The Leaders will need to be brave, show strong leadership and vision to drive a successful merger, and we wish them well in their journey. If you would like to be considered for a place at the next Dorset Merger event, please get in touch.